Clove Technology are reporting that On-line retailers have suffered a set back in shipping the Samsung Galaxy S5 today, they did not arrive with the retailers in the first place. 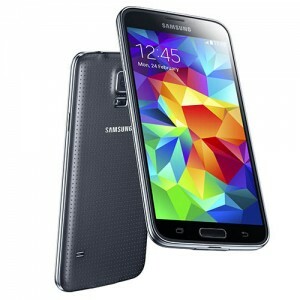 Inside it looks as though the S5 will instead arrive on April 14th. Not the worst delay in the world however enough to generate a few unhappy faces. This is not the fault of the retailers, Samsung have delayed it themselves. No reasons have been given right now however we have, in the past, heard tell that Samsung are having problems with the Galaxy S5’s 16-megapixel ISOCELL camera sensor and difficulties in moulding the 6-element optics. Clove have pointed out that the S5 is still subject to a region lock, but they have made it clearer how to remove this. European Model: This product should be activated with a SIM card issued from a mobile operator within Europe. (as defined EU/EEA, Switzerland and the following Non-EEA countries Albania, Andorra, Bosnia and Herzegovina, Former Yugoslav Republic of Macedonia (F.Y.R.O.M), Monaco, Montenegro, San Marino, Serbia and Vatican City.) To use SIM cards from other regions, a cumulative call over five minutes must first be made with the SIM card from European operators.